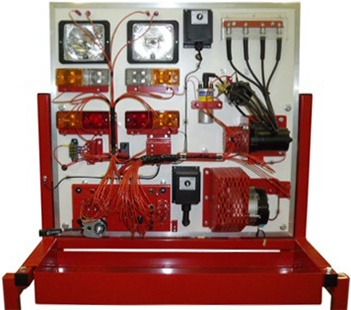 Fully operational auto electrical trainer manufactured using original components. Based on a generic auto electrical system, complete with charging, lighting, CB ignition systems and starter motor. Also includes plug-in wiring system for additional skills in multi-meter and wiring diagram usage. Plug-in wiring harness for additional skills training.